For the most part, sake has a standard degree of alcohol content, but if you look hard enough, you can always find one that matches your particular brand of stiffness. Depending on where you live, sake may still be on its way to reaching mainstream status, and so you might not be crystal clear on how strong these drinks really are. 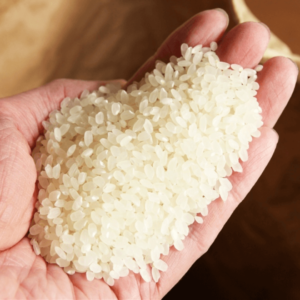 Since they’re often incorrectly referred to as “rice wines,” it’s easy to assume they have comparable alcohol contents. And, since they frequently feature a sweet and sour profile, people in western countries might mistakenly believe they’re not as strong as they actually are. So, let’s first answer the burning question of how much alcohol you can expect to find in sake, and then look beyond that to the extreme highs and lows of this versatile beverage. Generally speaking, your average sake has roughly 15% or 16% alcohol by volume (ABV), ranking it rather high among popular alcoholic drinks but not quite at the level of hard liquor. To clarify, here’s how it stacks up against its peers in average alcohol content:Beer-5%, Champagne-11%, Wine-15%, Sake-15-16%, Shochu-250-30%, Whiskey-40%, Vodka-40%, and Tequila-40%. 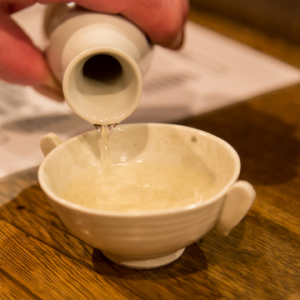 So, on average, sake does in fact resemble a slightly stronger wine. Looking at the list you can even draw a correlation between the alcohol level and common manner in which they’re imbibed. Beer is swigged from large pints and pitchers, while champagne and wine are sipped from smaller glasses. On the higher end of the spectrum spirits like vodka are either consumed in single shot glasses or mixed into cocktails. On that note, maybe how sake is meant to be consumed bears explaining. 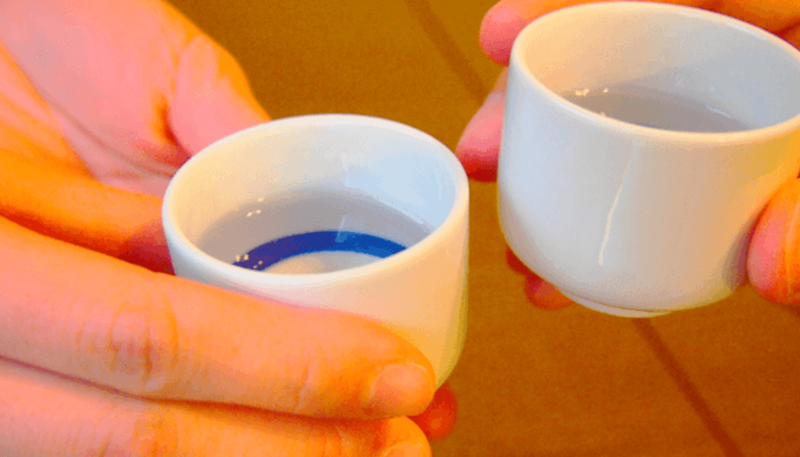 Traditionally, sake is consumed in small cups, called “ochoco,” that are generally comparable to shot glasses. However, there’s a recent trend towards enjoying sake from wine glasses in the belief that these vessels help to enhance flavor and aroma. Anyone attempting to drink sake from a pint glass may find themselves in for a rocky morning after, but that doesn’t mean you can’t drink a lot of sake in a single session. You just need to do it properly and in moderation. Next time you enter your favorite Japanese bar or restaurant, try asking your server for a yawaragimizu (“easing water”) along with your sake. As the name suggests, yawaragimizu is simply a serving of water in the same volume as the sake it accompanies. Essentially, it’s a chaser. 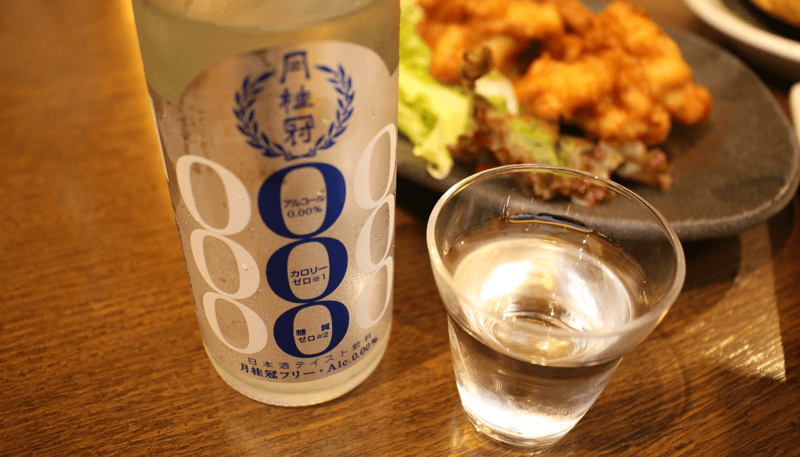 While chasing sake with tiny cups of water might not evoke the rugged, romantic image of stoic samurai pounding ochoco, yawaragimizu goes a long way in ensuring a night of boozing doesn’t get out of hand. Once you master the way of yawaragimizu, you might just be ready to tackle the stronger side of sake: genshu. For those looking for a stiffer sake experience, genshu is a good start. Genshu is simply sake that is not diluted with water prior to bottling like most sake are. As a result, it has a much stronger flavor and an 18% ABV (or 36 proof, for American readers) on average. Of course, drinkers are free to dilute genshu to a lower alcohol percentage themselves. Think of it more like a blank slate that you can fine tune to your ideal taste by tossing in some ice cubes or a spritz of sparkling water. Enjoyment is the name of the game, so find the tastes and strength that best suit your own preferences. This is the highest limit of sake in terms of alcohol volume, because, by law. the maximum allowed is 22% ABV. What’s that? You want to go higher? 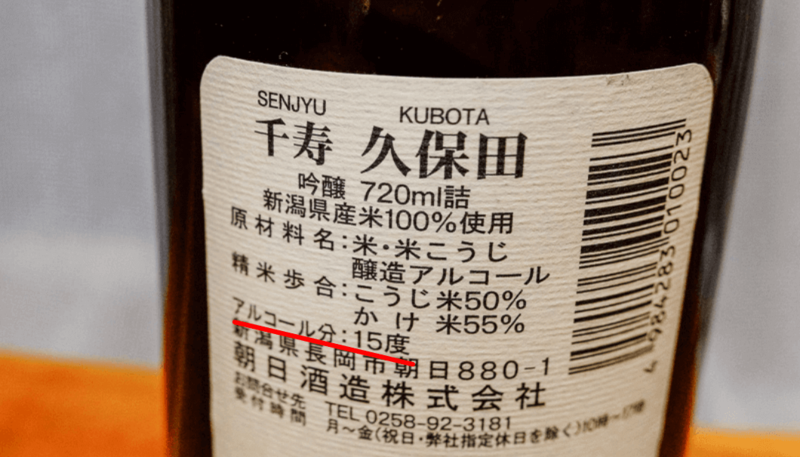 Since, legally speaking, 22% is the upper limit of what can be categorized as sake, we should preface this by saying that the following technically isn’t a sake. Once a brewery crosses that threshold, they must label their drink as a liqueur. But, would a sake by any other name taste as sweet? In this case, absolutely not! You can expect this drink to take sake to its dry extremes. Behold, the Samurai! With a whopping 46% ABV, Samurai is a stiff sake that’s sure to warm your belly on a cold winter’s day. You can expect a very dry profile but one that still maintains those sweet and sour notes that make sake what it is. chemically processing after brewing. However, purists might argue that these methods cause the drink to become something too far removed from what is generally considered a sake. The validity of high-alcohol sake is a judgement call, really. Even though Tamagawa Sake Brewery cannot legally call their unique concoction a sake, nothing is stopping you from doing it. Just know that if you want to take on the strongest the sake world has to offer, you’ll have to take on the Samurai. But, if you want nothing to do with this level of alcohol, fear not. Some breweries are taking sake way down to its lower limits of ABV as well. 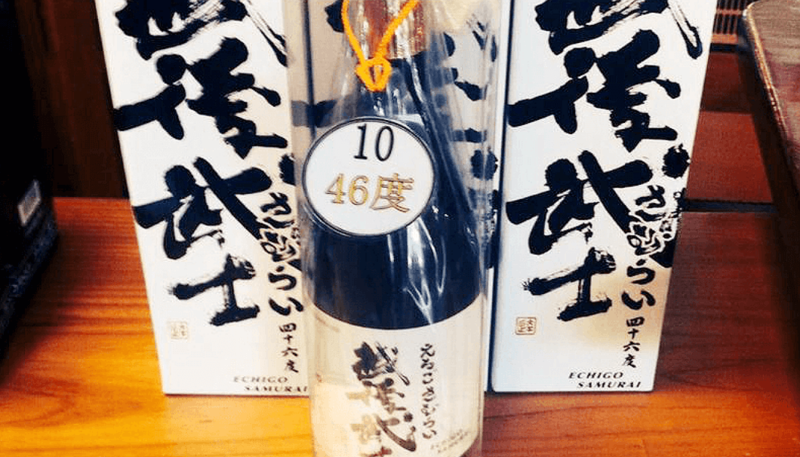 Ichinokura Brewery of Miyagi Prefecture is a pioneer in the art of low-alcohol sake with their signature brand Suzune. Suzune was conceived when the president of Ichinokura visited Belgium and was surprised to find people there drinking wine from large beer mugs, only to learn it was a special low-alcohol variety of wine. Years later, the brewery was tackling some image problems facing sake, particularly among young women who viewed the drink as a bitter, strong, and hangover-inducing drink associated with old men. 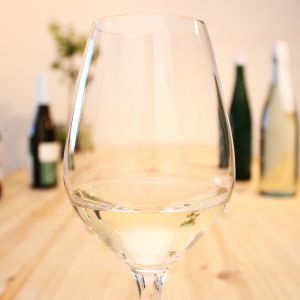 Recalling the Belgian wine, Ichinokura’s president decided, rather than trying to lure young women towards sake as it was, it’d be better to bring sake to them. This led to the long and difficult development of the women-oriented sake, Himezen, with an alcohol content of 8% – about half of an average sake. Ultimately, Ichinokura achieved Japan’s first low-alcohol sparkling sake, Suzune, with only 5% ABV – equivalent to an average beer. 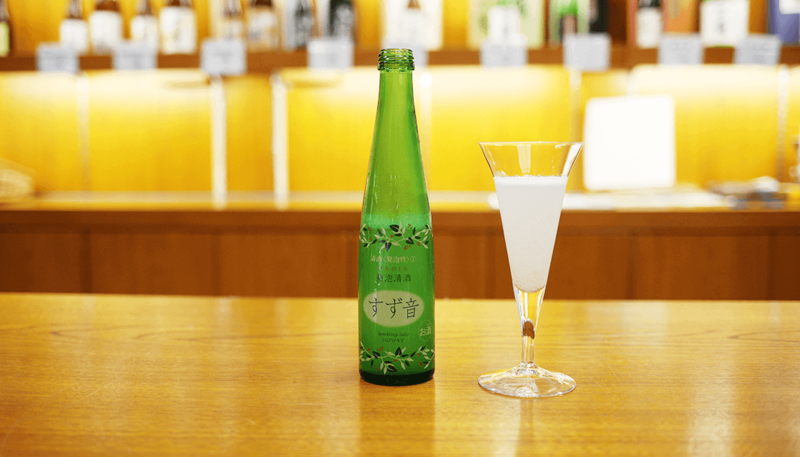 Even more recently, in keeping with the trend of alcohol-free beverages throughout Japan, companies have begun selling sake with 0.00% alcohol such as Gekkeikan Free, which hit the market back in 2014. However, unlike the ambiguous Samurai, Gekkeikan Free is without a doubt not sake. Rather, it’s a simulated sake-flavored beverage made with yuzu and spices and is completely free of alcohol, calories, and carbs. Gekkeikan went to great lengths to not only emulate the taste of sake but to simulate that alcoholic kick it gives when imbibed. That brings us to end this tour of the world of sake alcohol content, from flavored water all the way up to something you’ll want to keep far away from open flames. It’s all a wonderful array of flavors and feelings, too, so be sure to taste as much of it as possible, and don’t forget your yawaragimizu! HOME > How Much Alcohol is in Sake? What is the Type of Sake “Nama-Chozo” All About?